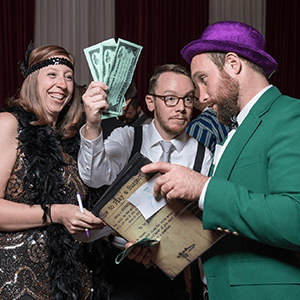 Take your party and kick it up a notch with The Murder Mystery Company in Baltimore and their troupe of mystery experts on the scene. 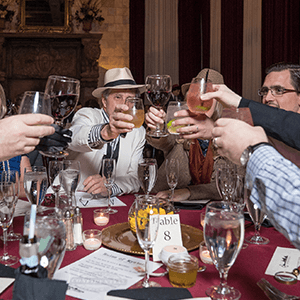 We can turn any dinner party into a thrilling evening of mystery, intrigue, and murder! 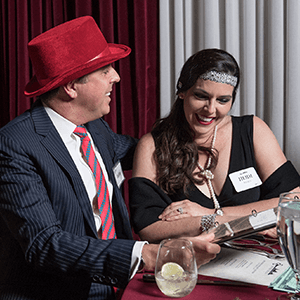 Live-action murder mystery parties are Baltimore's most unique and engaging way to entertain for privately hosted events. 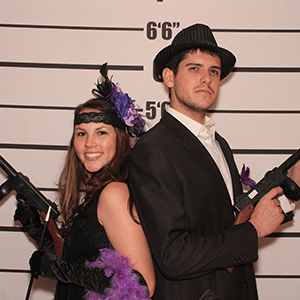 The Murder Mystery Company is Baltimore’s Expert in Mystery Entertainment. Someone has been blighted in Baltimore, and it’s now up to you, the daring dinner detectives in the audience, to figure out whodunit before the killer gets away! While trying to crack the case, you are also treated to a delicious three course dinner. Who could ask for more? 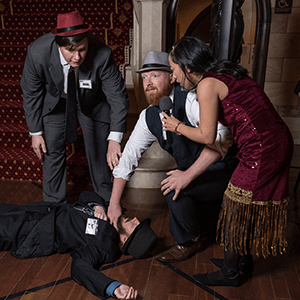 Come help solve the mystery with The Murder Mystery Company! If you’re looking for your next killer night out in Baltimore, look no further! 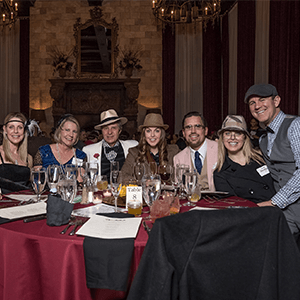 The Murder Mystery Company is dishing up a fun filled night of mystery, intrigue, and murder, with dinner to top it off! This is one night you won’t want to miss. Dig into a tasty three course dinner as you are immersed in a mystery that we need your help solving! You get a whole night out all in one little ticket, so snag yours now!